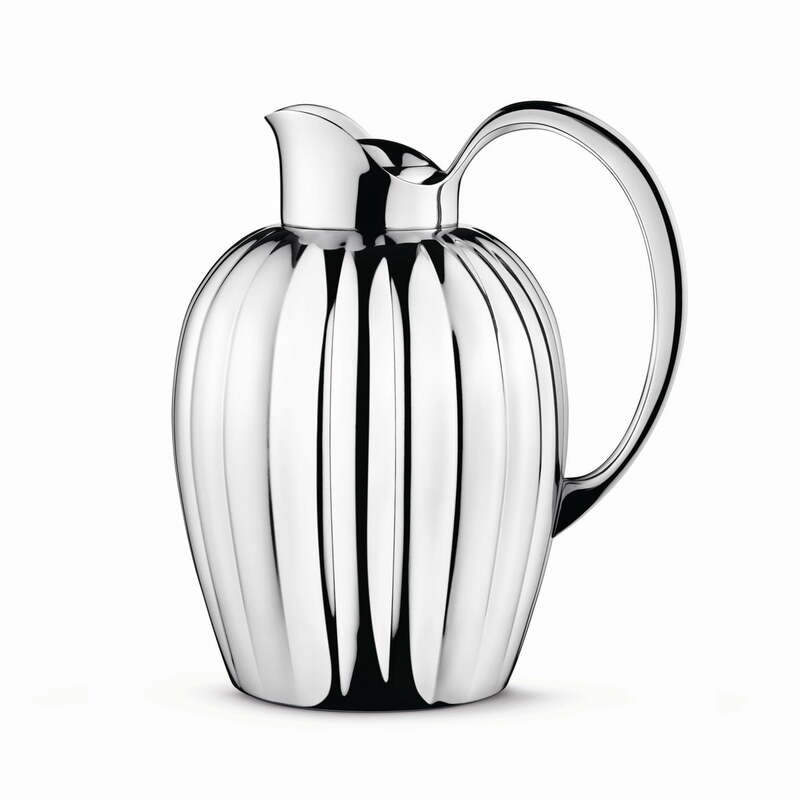 In 1938 Earl Sigvard Bernadotte, the uncle of the Danish Queen, created an elegant silver flask in a unique design. 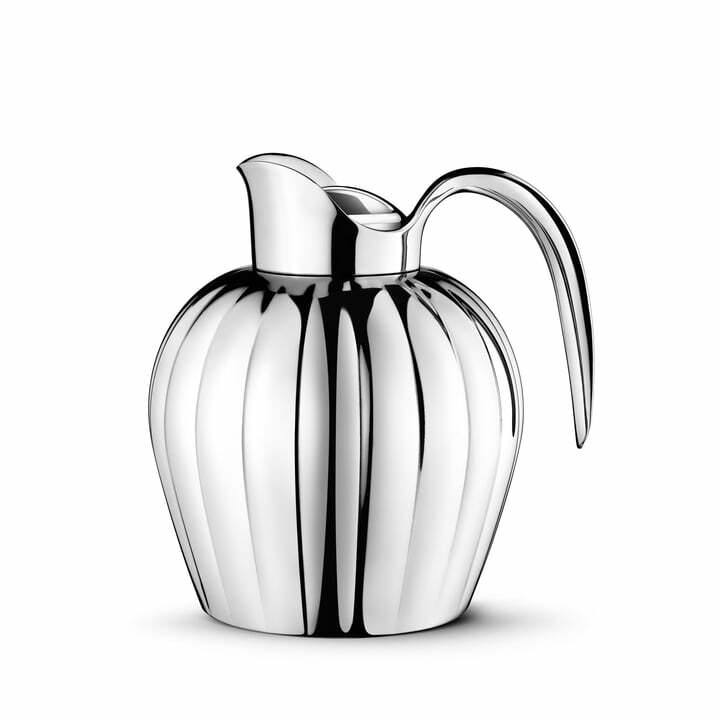 This can has just been relaunched by Georg Jensen in a new, modern version. It consists of chrome-coated steel with a steel insert an has a capacity of 1 litre. The slim lines on the body of the flask are based on the former design of silver place settings; this flask, however, seems to be timeless and elegant. Bernadotte matches with a royally set table on the one hand and on the other hand with your simple breakfast table. It is a pretty and very durable warming utensil.